Monitoring a subject using images is known as video or photographic surveillance. Video and photo surveillance are both types of investigative tools that are commonly used to collect evidence. What that evidence is used for is dependent upon the client who launches the investigation. In addition, a San Bernardino County licensed investigator is typically needed to ensure the legality and ethics of said evidence collection. 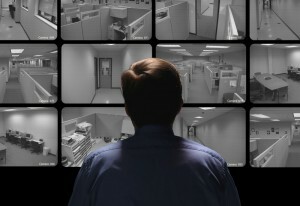 What Is Video and Photo Surveillance? With the help of a San Bernardino County licensed investigator, you can easily monitor a person, place, or thing without breaking any laws. Video surveillance used video cameras to watch a designated area or record sounds. Photo surveillance is pretty much the same, expect it doesn’t record sound and all images captured are motionless. Both types of surveillance are an essential part of the San Bernardino County licensed investigator’s tool box, and both can provide you with the vital data you need. Regardless of your need for video or photo surveillance, a San Bernardino County licensed investigator should be the first and only expert you call to provide it for you. Not only will you be able to monitor a subject remotely and legally, but any evidence you collect during the investigation can be used during trial preparation and presented to the court. Be sure to speak with a good San Bernardino County licensed investigator before launching a video or photo surveillance investigation on your own, or else you could face legal ramifications. For more information on having a video or photo surveillance investigation conducted on your behalf, or to hire a San Bernardino County licensed investigator immediately, call (951) 800-8232. We provide you with a free initial consultation and price quote for our services.